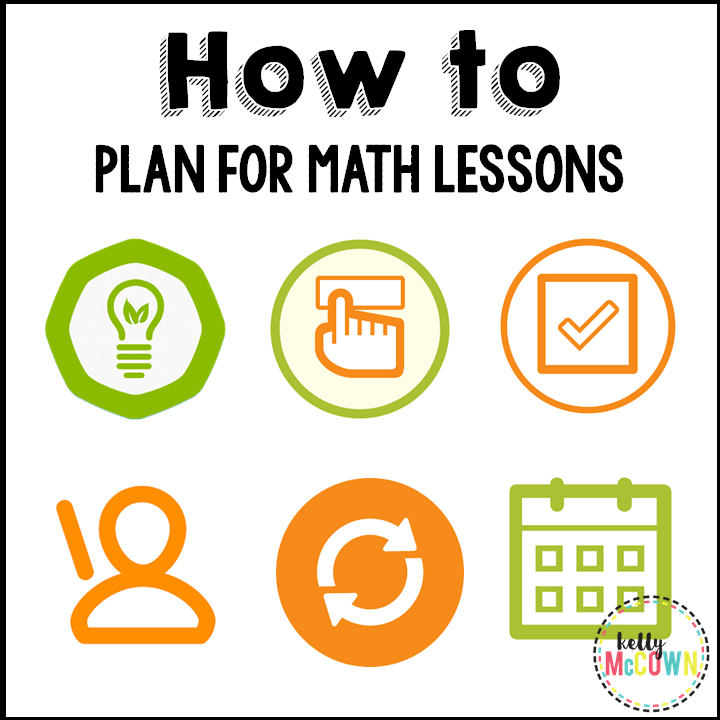 Are you struggling with how to plan your Math period? Do you want to see how another teacher plans their classroom time? Planning a Math Lesson from start to finish can be a daunting task, but you can follow these simple steps to keep your focus on the Math objective at hand. First you need to know your end goal. What do you want the students to learn? What is the Math objective for the lesson? What is the BIG idea that you want the students to master? Write it down. Go back to the goal often and make sure the focus of the lesson is front and center for the students. Schedule your goal. Goals don't just happen. Think about how you want to accomplish teaching the lesson. What are you going to do first? What will be your hook for the lesson to grab the students attention? I always start with vocabulary and work from there. 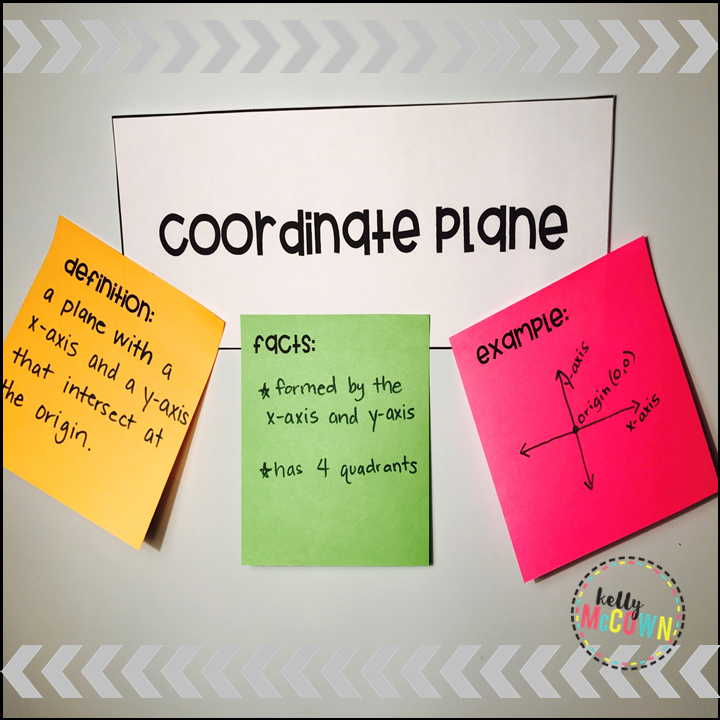 Students do an exercise where they write Math definitions on post-its and add the terms & definitions to our classroom Word Wall. 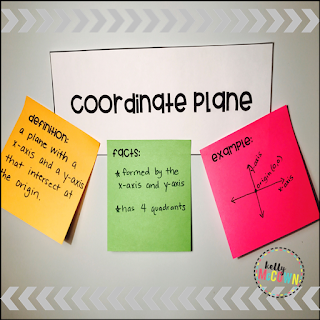 (You can DOWNLOAD it HERE: Grades 6-8 Vocabulary Word Wall Activity or Grades 3-5 Vocabulary Word Wall Activity ). 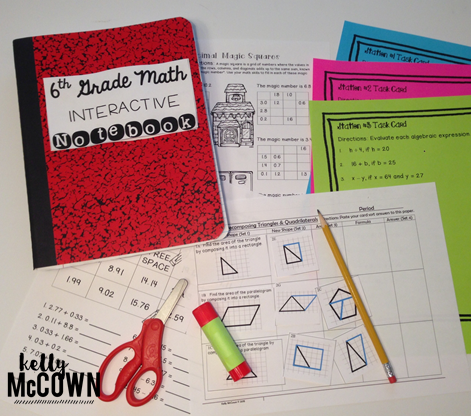 Now that students know what the lesson will be about, how will they learn the new information? What do you need to scaffold for the students? How will you teach it? 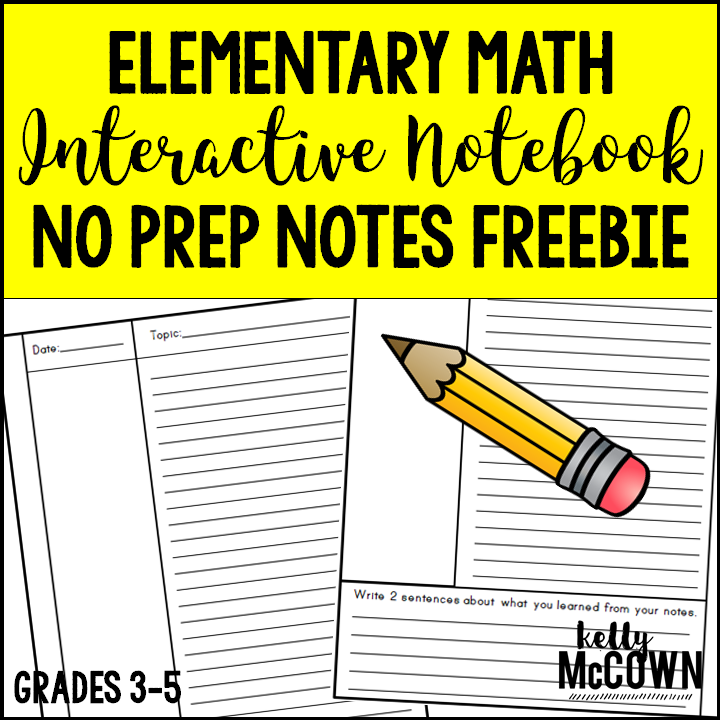 My two favorite ways to teach new information to students is with Interactive Math Notebooks (IMN). I use IMN activities along with NO PREP Notes for 6-8 or NO PREP Notes for 3-5 to scaffold information to students. Next plan a classroom activity for the whole class to complete during the period. 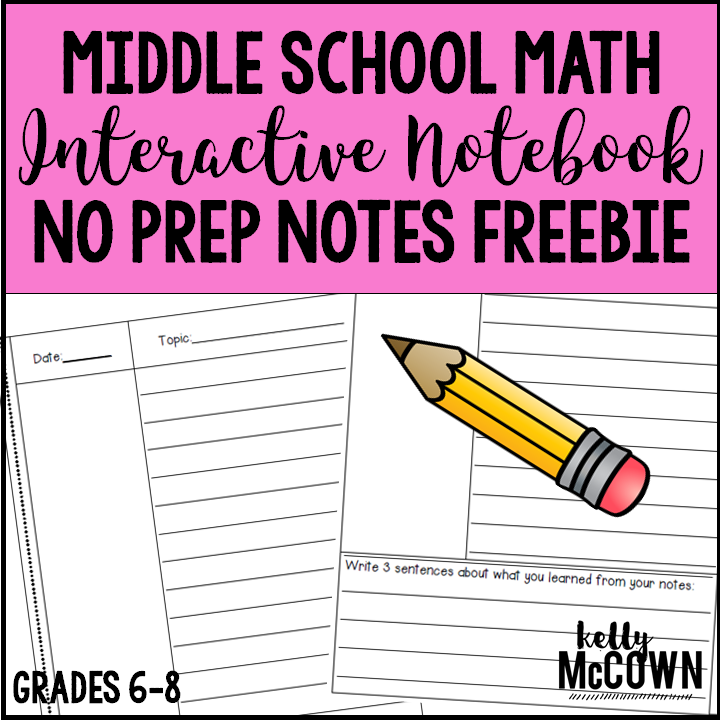 This could be a Card Sort Activity Lesson Plan or Math Stations/Centers or another activity that ties into the lesson with real world applications and practice. 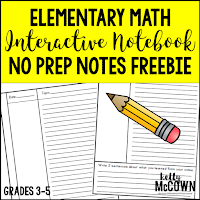 The focus should be extending the learning beyond the previous notes, IMN activity, and homework to deepen the students' understanding of the Math topic. 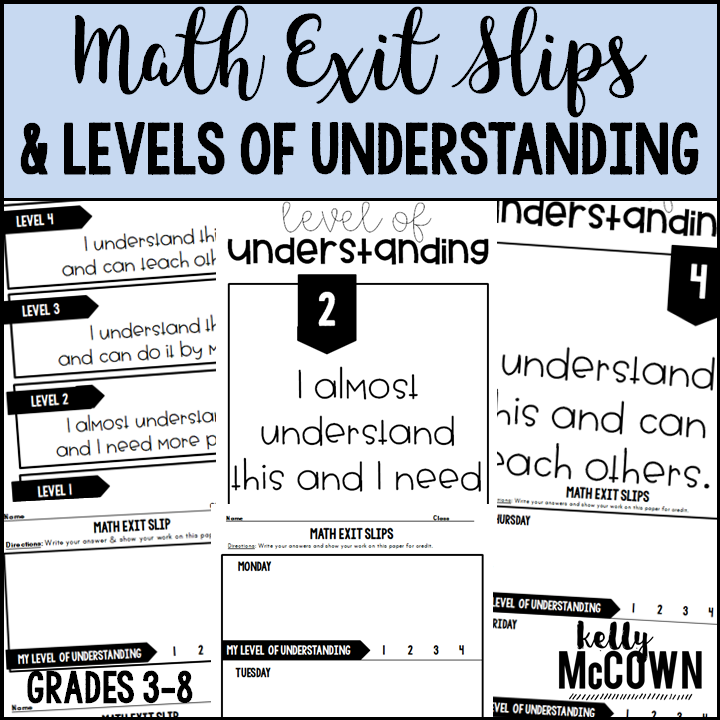 Lastly assess for understanding with exit slips. If students have mastered the concept, move on to the next Math concept and repeat steps 1-5 again. If there is still a lack of understanding and connection with the Big Idea, review the lesson again with the students by scaffolding with notes and one follow-up activity. Also asking other teachers how they have taught that topic can be a great help to you and your students. I hope this planning guide helps you to start engaging instruction in your classroom. Starting with a goal helps to drive any plans for student achievement. Make sure your goal is high and watch your students rise to achieve it!